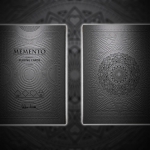 After a failed campaign of the nice minimalist deck Alpha, Valerio Aversa comes back with a completely different idea: Memento. 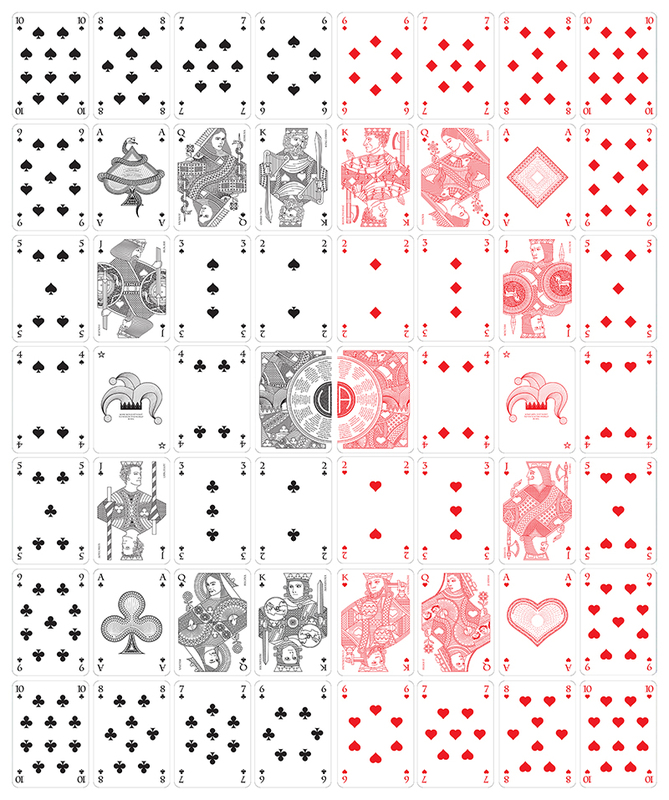 Memento is inspired on the history of Playing Cards design. This Italian illustrator shows us not only his talent as a creator, but also his passion for playing cards history and evolution. 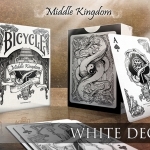 He has made his own interpretation of the history of playing cards in this design, using style based on simple lines and colors but with emphasis on the detail and inspiration on art, where the relevant characters of the universal history are depicted in the court cards. 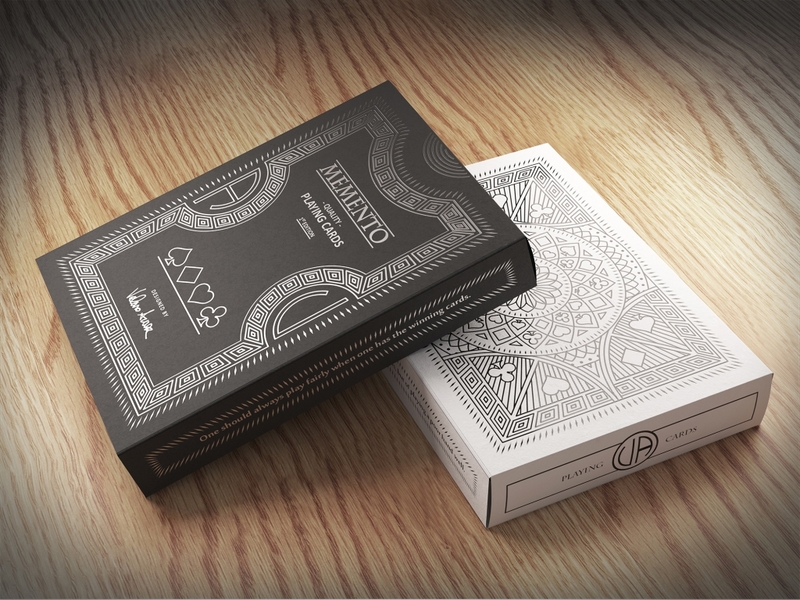 There will be two editions of this deck with two different colors: black and white and both will be printed by the USPCC. 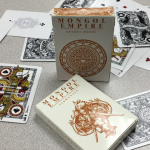 Honestly, I can’t believe at this point why this deck has not been funded yet. 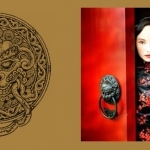 I don’t usually give this type of opinion in my articles but I think this deck truly deserves to be funded because of its quality and its background. Have a look to the images in the gallery. They are high resolution so you can check the detailed design. There is a story behind every card and you just need to visit the project website to learn more about it and to raise your pledge. Each new update will reveal a new card and a new story.